Taxi order is easier than before! You can order a taxi in a few clicks, selecting your starting point and destination. If you prefer to choose your direction during the ride, you’ll enjoy “Tell the Driver” option, which allows you to inform the driver on your point of arrival on the ride. We take special care of your safety. Our professional drivers can be trusted to ride safely, they will deliver you door to door. Taxi is no longer a luxury. Rides with Citymobil cost so little that “taxiportation” across the city is affordable to everyone. Want to know all the details? The app allows you to learn driver’s details before the ride. You may review the driver to help us offer you experienced and friendly drivers only. Everything for your convenience. 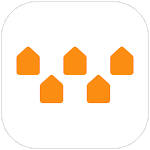 The app suggests previously added addresses in time. The most important ones may be added to bookmarks. • “Economy” suits those who prefer to save money. • “Comfort” is for those who like comfort at affordable prices. • “Business” fits those who choose premium cars and the best drivers. • “Minivan” will be great for those who need more space, like a big family. And what is more, “Comfort”, “Business” and “Minivan” users will get a 10% cashback in points after each trip. Ride anytime. If you should go right now, a taxi will come in a few minutes. If you are planning your trip beforehand, just specify a convenient pickup time. Enjoy extra options. No more need to ask the driver to put a child seat in the car, carry out a pet, drive on a dedicated lane. Just choose the desired options in the app. Any destinations. You can easily take a taxi to Domodedovo, Vnukovo or Sheremetyevo airports and back. 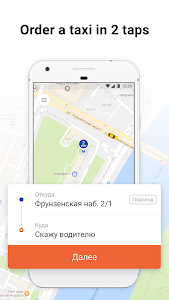 Go anywhere in Moscow, Yaroslavl, Zelenograd, Odintsovo, Mytishchi, and Krasnogorsk, making as many stops as you want to make. Any kind of payment. 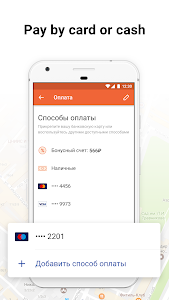 Pay with cash, cards or Google Pay. Citymobil meets you halfway. 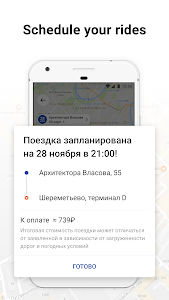 We grant you discounts and a variety of helpful promo сodes for inviting your friends to the app. We are always available! Order a taxi by phone by calling +7 (495) 500-50-50. If any question, feel free to ask us in the chat. We are available 24/7. We want to grow and develop so that we kindly ask you to leave feedback on drivers, service quality and anything else worth your attention. This helps us to get better. We carefully and painstakingly reworked the design and logic of the promo codes section! Activate and swap promo codes - you decide which one to use. And, of course, we added a new and useful feature: now you will see all the fiscal receipts in the trips history - for the main trip and a separate fiscal receipt with a tip, in case you decide to please our drivers.